I've always been a sucker for kitchen sink drama. Maybe I was first smitten by Streetcar Named Desire, the Louisiana-Southern version of the genre — and I have always had a penchant for working-class stories. Fantastic! It's both queer and interracial! Director Tony Richardson's A Taste for Honey (1961) is a fantastic! addition to the tradition — it boasts both a gay character (Oh My!) and interracial romance (Oh Gee!). And I am pretty sure the Smith's song "This Night Has Opened My Eyes" shares an aesthetic family resemblance. The plot offers nothing new in terms of what we're used to seeing on the big screen, and maybe I have seen enough movies from the 1960s to think that A Taste For Honey does not capture my attention because of its capacity to take on controversial topics. 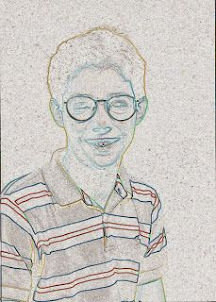 Charles Silver likened the protagonist Jo to Antoine Doinel from Truffaut's auteurist masterpiece. And while I did see the film first in Silver's Auteurist History of Film exhibition at MoMA (full disclosure), I tend to agree with this assessment. 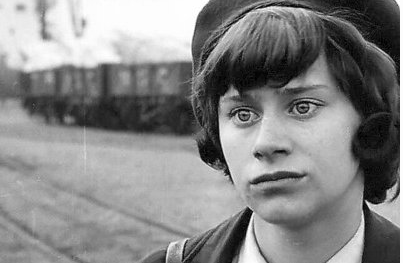 Tony Richardson's adaptation of Shelagh Delaney's play takes full advantage of Jo's (Rita Tushingham) soulful eyes beaten down by the soft ideology of work (which is why I say the song resembles the Smith's song). Could she have been a poet? The movie ends on an ambiguous note. Jo, replete with child, welcomes in her ousted mother Helen (Dora Bryan) inadvertently saying goodbye to Geoffrey (Murray Melvin), the titular gay boy. The ending shot of the little boy giving Jo the sparkler is touching, and I wondered at the movie's close if Geoffrey would return to be a gay uncle or if Jimmy (Paul Danquah) would ever show up again. The movie leaves us with the question of Helen and Jo's fate. The mother and daughter pair share a strained intimacy, and we're left to wonder what it would be like if Jo had been able to move on without her. In an earlier scene, Helen bathes in the tub and tells her daughter she is now a married woman (which we suspect is probably her sixteenth proposal). The scene shows the relationship between the two women, while comfortable standing in the bathroom while her mother bathes (a form of intimacy), it is apparent that Helen will never be able to give the maternal care that Jo deserves. And when Jo becomes pregnant, and her mother has run off to live with her new husband Peter (a drunk), Jo cobbles together her own version of family with Geoffrey and fantasizes about her "dark prince" Jimmy. I liked the movie's careful way of showing us Jo with Jimmy, her first love, then Jo rebuffed by Helen, and then Jo thinking that she might be able to build something authentic with Geoffrey. It becomes clear that the Jo and Geoffrey story was a substitute for something else. For Jo, it was a desire to be cared for, and maybe for Geoffrey, it was a need to be accepted. He was kicked out of his own apartment for sleeping with a man (was it rent controlled?) and when he moves in with Jo, he quickly takes on the role of the mother figure, even obtaining a fake baby to help Jo learn the rudimentary skills of motherhood. It's not surprising Jo throws the baby to the ground, and while we can probably guess the source of Jo's anger, we also realize (and maybe she does too) that motherhood will be foisted upon her no matter if she wants it or not and this pattern has had a long history, not only with her mother, but a powerful narrative that tells women that motherhood is natural and should be accepted. Helen is loathe to tell Jo of her biological father, except that they share the same eyes, and he was a simple man. This codes for Jo that her father was a half-wit, and her mother, even though she may have loved her father for an afternoon, the relationship did not sustain a family. The movie is bookended with images of childhood innocence, the first with Jo playing sport on the school playground, and the soundtrack of children singing "The big ship sails on the alley, alley, oh!" The movie ends with the same song, and we are lighted upon Jo's face one last time. Jo throughout the movie vacillates between child and scared adult. Rita Tushingham plays Jo with zest and innocence — for example: in an earlier scene where she pantomimes her teacher, and remarkably scared and curious when she feels her baby kick inside of her belly (and remember, this movie was made long before Ellen Page and Jennifer Garner had their moment in Juno). If Charles Silver is right, we can compare the two endings. In the Truffaut film, Antoine is captured in a still shot on the beach which I still think is the most affective ending in cinematic history. We know Antoine's story because Truffaut regales us with many more sequels to follow. For Jo, we are left to imagine her story. And this I think is satisfactory.